Even rebels need a little touch-up now and then. 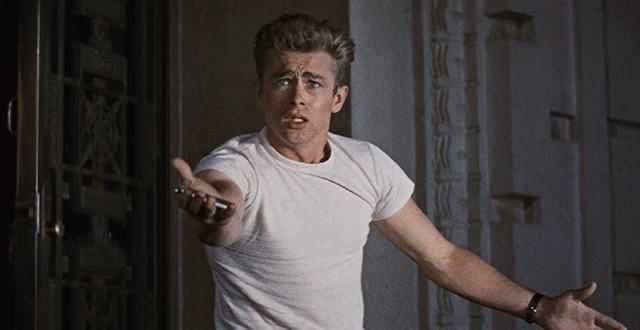 On Nov. 1, the Los Angeles County Museum of Art will unveil a fresh restoration of Nicholas Ray’s “Rebel Without a Cause” — just one of several recent LACMA events spotlighting the work of Martin Scorsese and his nonprofit preservation org, the Film Foundation. The Gucci-sponsored restoration of “Rebel,” carried out by Warner Bros., demonstrates that popular pics can be just as susceptible to the effects of age as obscure ones. The original color negative had been badly faded and partly destroyed, owing to its use for repeated re-releases, while the stereo soundtrack master was erased and reused years ago. On Nov. 2, the night after the “Rebel” screening, LACMA will honor both Scorsese and painter David Hockney at the museum’s third annual Art+Film Gala, a benefit reflecting the LACMA board’s newly enlightened view that film is art and deserves a place in the museum alongside more traditional forms. Four years earlier, Scorsese had been a vocal defender of LACMA’s screening program, which museum honcho Michael Govan had threatened to discontinue. According to Margaret Bodde, exec director of the Film Foundation, a discussion between the two changed things. “Growing out of that initial conversation between Michael Govan and Marty, (the LACMA board) decided to do this annual event, Art+Film, and to more actively bring film into their activities and their curatorial sensibility,” she said.